Beer can collectors around Australia have overwhelminglyendorsed the commemorative beer can produced by Coopers Brewery for theSupercheap Auto Bathurst 1000 V8 Supercars event last year. 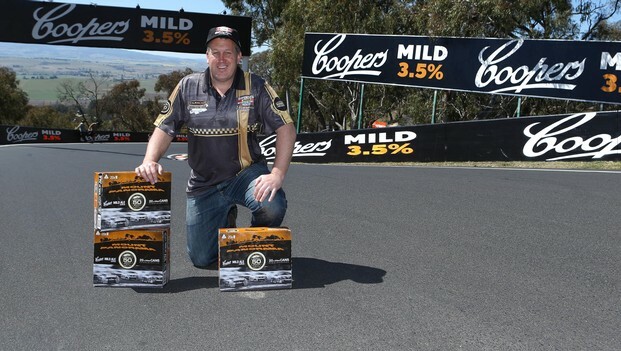 The special Coopers Mild Ale can, which was released tohighlight the 50th year of the iconic Bathurst endurance race, has been namedthe Australian Beer Can of the Year for 2012 by the Australian Beer CanCollectors Association. The SA/NT President of the Australian Beer Can CollectorsAssociation, Mr Colin Pearce, said the award was decided by a ballot of theAssociation’s members. “A total of 92% of members voted for the Bathurst can,” hesaid. Mr Pearce said the Association had been making the awardeach year since 1979. Any new beer can put on the market between December oneyear and November the following year, is eligible, even those with only minorchanges to labels. All Association members are asked to vote, with ballotpapers being sent out in December. The Coopers Bathurst can was offered for sale aroundAustralia in the lead-up to and during the Bathurst weekend on October 4-7 lastyear. Coopers Chairman, Mr Glenn Cooper, said the Bathurst can wasa one-off and would not be repeated this year. “Because the 50th year of racing at Bathurst coincided withour 150th anniversary, we decided it was appropriate to release a special canfor that event,” he said. Mr Pearce said the last time Coopers won the Can of Yearaward was in 2001 for a special Grand Prix can. In 2010, Coopers was runner upin the award for its 355 ml Coopers Clear can.